The board-certified dermatologists at Cosmetic Laser Dermatology in San Diego are experts in both body and facial liposculpture. The facial area is very delicate and requires a precise, skilled touch in order to achieve the best results. For the face and neck, our skin care specialists use a technique called ‘tumescent liposculpture.’ This technique is ideal for the facial area, as it uses extremely small cannulas. These tiny cannulas are able to give a more precise result than larger cannulas can. In addition, tumescent liposculpture does not require general anesthesia. The tumescent method involves using a fluid which helps to numb the area being treated. This local anesthesia is safer and requires less recovery time than general anesthesia. 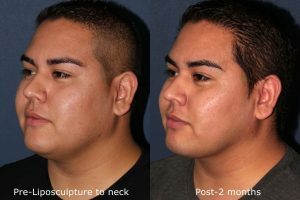 Tumescent liposculpture for the face and neck has many benefits, among which is less recovery time, and a smoother result. Large cannulas can sometimes result in waves or ridges, while the tiny cannulas used for tumescent liposculpture are able to leave a more sculpted and smooth result. 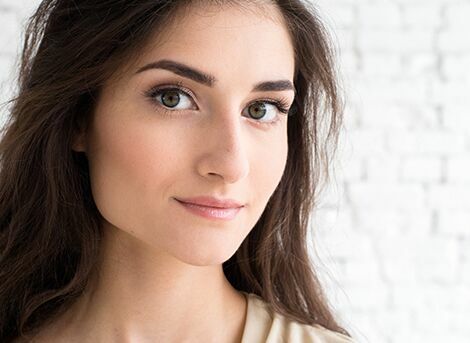 At Cosmetic Laser Dermatology in San Diego, we have developed a technique that allows you to achieve the results of a full facelift without needing to undergo surgery. We call this technique ThermiSculpt, as it is a combination of ThermiLift™ and tumescent liposculpture. Patients can achieve great results through a series of these treatments. Liposculpture can initially reduce unwanted fatty areas in the neck and jowl area, while ThermiLift™ tightens any remaining loose skin. The number of treatments required will vary depending on the individual patient, but after the procedure is finished, the results are just like a surgical facelift, minus the surgery and all the attendant pain and downtime. ThermiSculpt is a great option for men and women who want to refresh their appearance, get rid of double chins or turkey necks, and achieve a more youthful visage. If you are considering a facelift but aren’t sure that you’re ready to commit to going under the knife, ThermiSculpt could be a good alternative to a traditional facelift. For more information about the monthly specials offered at Cosmetic Laser Dermatology San Diego, visit our Promotions page.